The teachings Philippe Camoin gives on the Tarot de Marseille have never been taught anywhere else before. These teachings present the Tarot de Marseille as a spiritual discipline for the 21st century: a spiritual discipline directly inspired by observation of the symbols, and a process that will awaken hidden abilities in the mind. 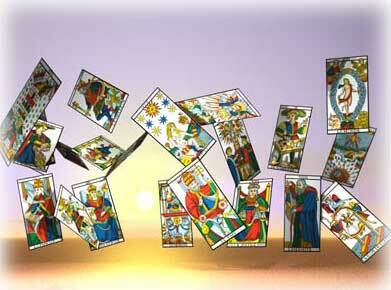 Philippe Camoin has upturned the established thought about the Tarot de Marseille and more broadly the Tarot itself. There are revelations that cover not only the esoteric world, but also significant historical revelations about the scientific structure of the Tarot. Philippe Camoin has just revealed the date of the oldest existing Tarot de Marseille deck made in Marseilles to the community of experts on the history of Tarot: the deck by François Chosson, 1672. This fact is of major importance and now brings into question much of the history of Tarot as it is perceived by historians. 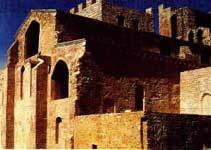 Based on discoveries by Philippe Camoin, it was the monk Cassian who in 400 CE contributed to the introduction of the wisdom of the Tarot into Europe. This claim, which overturns all previously conceived notions, is based on unassailable facts. 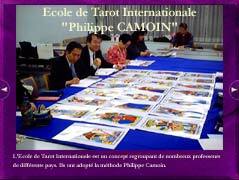 The Philippe Camoin Method is based on a systematic observation of the symbols and the relations between the cards. It is about being able to verify what is being read in the cards. This observation increases our intelligence. How? Try it yourself. It is one of the purposes of the Tarot de Marseille beyond the obvious simple divination: a spiritual discipline that makes us more intelligent by connecting us with our sixth sense while at the same time keeping our feet firmly on the ground.